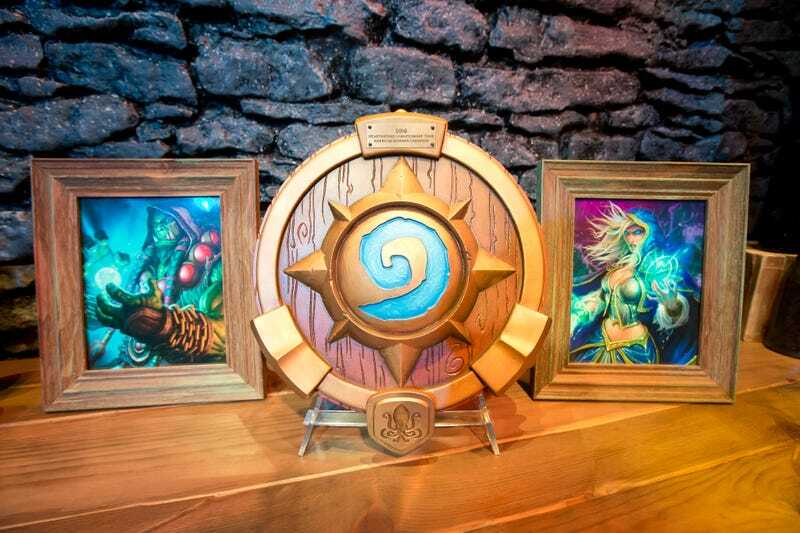 While the Worlds 2017 Group Stage finishes up overnight, the top players in Hearthstone will be grinding their way through the HTC Summer Championship in California. Russian wunderkind Pavel Beltukov is already in the quarterfinals, and will be looking for revenge after a dismal showing in the Winter Championship. Also look out for the Rocket League Regional Championship, with the top teams gunning for spots in Novembers international tournament. With only one round of matches left to play in the group stage, the eight teams that will progress to the knockout stage are almost all but locked in. Longzhu Gaming, Fnatic, Royal Never Give Up, Samsung Galaxy, Team WE and Misfits have all made it through and now it comes down to the few remaining matches to resolve things in Group A. Current leaders SK Telecom will start things by taking on Ahq e-Sports at 12:00AM EDT Sunday morning and will also be the last team to play vs. Edward Gaming at 5:00AM. Since the latter so far hasn’t won a single match, the second-place team to make it out of the Group is likely to come down to a two-way race between Cloud9 and Ahq. You can catch all of the matches live, as well as the 3:00PM rebroadcasts, here. We’re finally at the RLCS Season 4's regional championship, with NRG Esports vs. Rogue at 3:00PM EDT today, followed by FlyQuest vs. Cloud9 an hour later. The finals will take place at 7:10PM. Then in Europe on Sunday, things start at 12:00PM EDT with excel vs. Mockit Esports and conclude at 4:10PM. You can watch all of the matches below. A quiet weekend in Valve’s Moba overall, you can still see some lesser known teams battle it out in the joinDOTA League Season 11 America Group Stage. Team Snake will face Midas Club at 4:30PM EDT today, followed by matches resuming on Sunday with VRGF vs. White Dragons at around the same time. The APEX Challengers Season 5 is coming to an end shortly, but there are still a few games left to be played. Seven will play Bon’s Spirit at 6:00AM EDT Sunday morning, followed by Lunatic-Hai 2 vs. CHG. You can watch all of the matches here. But there’s also the Seoul Cup, featuring South Korea’s top teams in a four-way tournament against the top talent out of China. Lucky Future face Cloud9 KongDoo at 1:00AM EDT Sunday morning, followed by Miraculous Youngster vs. Lunatic-Hai at 2:30AM. The winners of those two semifinals will than face one another at 4:00AM. You can watch all that tournament here. The HCT Summer Championship is underway with matches ongoing throughout today and Sunday in Los Angeles. The $250,000 event currently features Tom60229, Surrender, JasonZhou, and Pavel in the quarterfinals awaiting their opponents to be decided later today. Matches will resume at 11:30AM EDT on Sunday and conclude with the grand finals in the late afternoon to evening. You can watch all of the tournament right here. Gfinity Elite Series Season 2 week two will start with Prophecy vs. Reason Gaming, followed by Team Endpoint vs. exceL eSports at 12:30PM EDT, EnVyUs Academy vs. Team Infused at 2:00PM, and Epsilon vs. Method at 3:30PM. You can watch all of those matches here. There’s also qualifiers for the ROG Masters 2017 this weekend. Tricked Esport face Seed at 12:00PM EDT today, followed by Gambit vs. Singularity at 3:30PM and Vega Squadron vs. Mousesports at 6:00AM Sunday morning. You can keep up with those games here. 2GGC: Fire Emblem Saga takes place this weekend, notable both for who’s showing up, MK Leo, Nairo, Larry Lurr and others, as well as who isn’t: ZeRo. The Smash 4 tournament will start today with doubles at 1:00PM EDT, followed by singles and then special events Squad Assault at 8:00PM, a cosplay contest at 10:00PM, and the Gauntlet at 10:30PM. Top 8 will begin around 6:00PM on Sunday. The South East Asia Major 2017 is this weekend as well. Play in the top 8 for Street Fighter V will start on Sunday morning at 4:30AM EDT, which you can stream live here. The premier fighting game event is also home to a number of other tournaments including Tekken 7 and Marvel Vs. Capcom: Infinite. You can find more info here. The game’s SPL Gauntlet gets underway today starting around 1:00PM EDT. Matches begin with Victorious Secret vs. Burrito Esports and conclude with the winner of Salsa Squadron vs. Team Allegiance facing Team Cryptik. Then on Sunday the action resumes at the same time with the final match to be played against Team Vigilant. You can watch the full proceedings here. The Kombat Cup: The Runback event will get started at the tail end of this weekend on Sunday at 6:00PM EDT. The $2,500 prize pool tournament will play through Wednesday, with all the bloody action streaming live here. Mobile esports continue to struggle, but this weekend Amazon has given the sub-genre another push with its Mobile Masters Las Vegas 2017 event. Featuring a handful of games including Super Evil Megacorp’s moba, but also exotic games like Power Rangers: Legacy Wars, the tournament runs 12:00PM EDT to 10:00PM both today and Sunday.